As a team comes together and sets out to create a film, they need a wide variety of individuals to make the dream come true. Of course, the actors and actresses have a huge role, but not quite like that of the director. Fortunately, we live in a time currently where there is an amazing group of current directors such as James Cameron, Steven Spielberg, David Fincher, Quentin Tarantino, and many many more. However, one director who has always been one of my all time favorites does not necessarily receive as much recognition as I believe he should. With movies such as The Sixth Sense, Signs, The Village, Stuart Little, and Split, director M. Night Shyamalan has consistently made unique movies that I have not only grown up with, but that I have loved the entire time. Therefore, with the blog for this weekend, I will not rant to you about another amazing movie, but rather, an amazing director. This is, the M. Night Shyamalan appreciation blog! 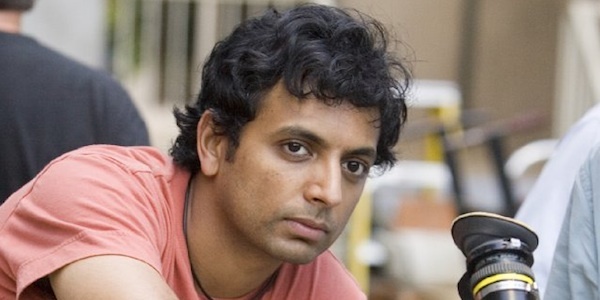 After being born in India, Shyamalan and his family moved to Philadelphia in hopes for a better life. His parents said in a 2010 interview that M. Night was given a Super-8 camera for his eighth birthday and from that day on, he aspired to grow up and become like his role model, Steven Spielberg. He later pursued a college education in film and took the necessary internships, practices, and seminars to become a director. I think what I enjoy most about his movies is how unique they are. At times, his thrilling films embody levels of fantasy with a mix of horror. One thing that I have noticed in his films to touch upon his genre of films, is that I don’t think I have ever hear background music during scenes in any of his movie. This makes the setting and plot more realistic and creates an eerie tone. Practically in ever other movie, whether it be during a scene or as scenes are transitioning, there is a song playing or even instrumental. However, I commend Shyamalan for his decision not to do this, as this sets him apart from other directors. One more clear observation that comes to mind when I think of Shyamalan is that he makes a cameo in every film he directs. Beloved director, Alfred Hitchcock, in essence created this concept as he did it in films such as Rear Window, Vertigo, and Master of Suspense. Shyamalan has followed suit and has done the exact same thing in the majority of his films. Most of the time, it is just for one scene as an irrelevant character, but this alone holds a special place in my heart and appreciation for Shyamalan. His movies are truly one of a kind, and I think that is why I distinguish him in my opinion of directors. If you were to base it off of awards, accolades, or something even smaller such as IMDB or Rotten Tomatoes ratings, you would think that Shyamalan’s career was a failure. However, after truly analyzing his role in the movie world, you can fully appreciate his worth.